(Israel Today) Iran has produced a 27 meter-long missile capable of carrying a warhead "far beyond Europe." 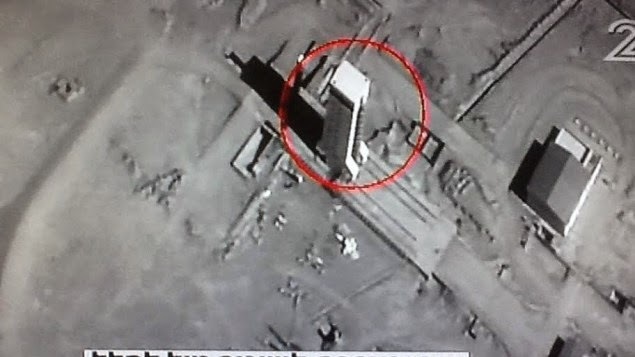 Israel's Channel 2 News broadcast satellite images of the missile at a launch site near Tehran (pictured). The missile was ostensibly built to ferry satellites into orbit, but could also be used to deliver warheads nearly anywhere on the planet. Israel has also produced and successfully launched missiles with such dual capabilities.